This zoomable interactive map was built with D3.js for an insurance adjusting service website. Clicking on a state causes it to zoom to fit the map area. 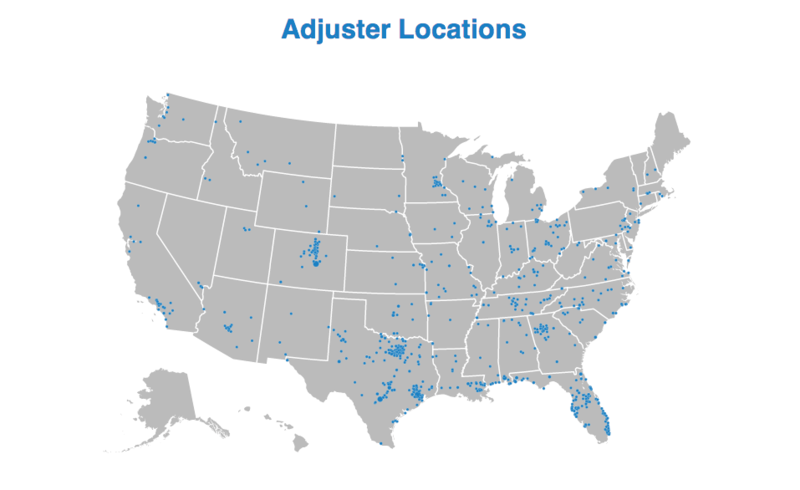 There is a tooltip feature that shows the number of insurance adjusters in a city (on hover). I also wrote a Python script to retrieve the adjuster data from an adjuster portal API and to retrieve geodata from Google’s API. This data is processed with Python and printed to a CSV file which is then referenced in the D3.js code. The map is in service here.